Gazing into the sea, the play of motion, and dancing sunlight on the rocks below, form submerged distortions and abstracted shapes. 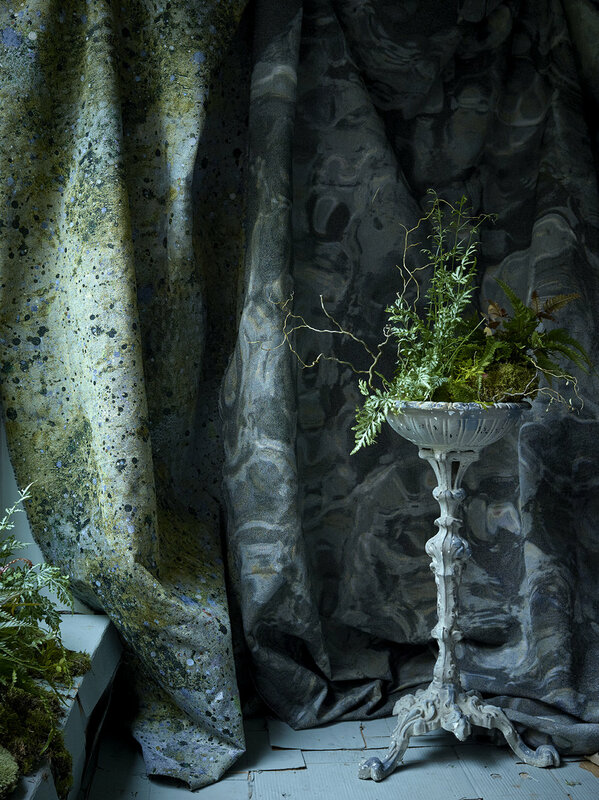 The "Rock Pool" collection of fabrics from Martyn Thompson Studio celebrates the unknowable sea and the unending shift of tides. These “Rock Pool” patterns originated from Martyn’s photographs of the Ionian Sea, in Greece, the murky tones of the ocean floor brought to life by a ripple of the wind and a flicker of sunlight, are woven in 100% cotton on a jacquard loom in the USA. celebrate his love of the ‘accidental’. MTS "Almost Circular" tapestry pillow, in Radiant & "Pebble" pillow, in Swirl.